digiKam is an image organizer and editor that uses the KDE Platform. 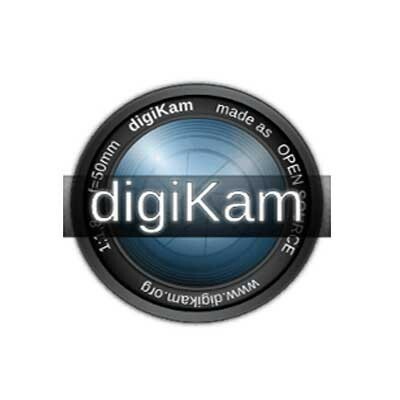 digiKam provides functions for organizing, previewing, downloading and/or deleting images from digital cameras. Basic auto-transformations can also be deployed on the fly during picture downloading. In addition, digiKam offers image enhancement tools through its KIPI (KDE Image Plugins Interface) framework and its own plugins, like red-eye removal, color management, image filters, or special effects. digiKam is the only free photo management application on Linux that can handle 16 bit/channel images. Digital Asset Management is the mainstay of digiKam. digiKam runs on most known desktop environments and window managers, as long as the required libraries are installed. It supports all major image file formats,[which?] and can organize collections of photographs in directory-based albums, or dynamic albums by date, timeline, or by tags. Users can also add captions and ratings to their images, search through them and save searches for later use. Using plug-ins, users can export albums to various online services including (among others) 23hq, Facebook, Flickr, Gallery2, Google Earth's KML files, Yandex.Fotki, MediaWiki, Rajce, SmugMug, Piwigo, Simpleviewer, Picasa Web Albums. Plug-ins are also available to enable burning photos to a CD and the creation of web galleries.